Back in December, we reported that Saudi Arabia had announced that it was putting an end to its 35-year ban on movie theaters, an indication of the declining influence of the country’s conservative religious leaders and an attempt to decrease Saudi Arabia’s economic dependence on oil. Now, Saudi Arabia has held its first public movie screening since lifting the ban, and it couldn’t have possibly picked a cinematic offering more representative of where the modern movie industry is at these days: The Emoji Movie, a cartoon with a talking poop and a main character voiced by someone accused of physical and sexual assault. Welcome to the wonderful world of cinema, Saudi Arabia! This comes from Reuters (via IndieWire), which says the screening was held on January 13 and was followed by a showing of Captain Underpants: The First Epic Movie—which was at least a better film than The Emoji Movie. It’s also important to note that Saudi Arabia still intends to censor all movies that are screened in this fashion to make sure they’re in line with the country’s strict cultural standards, which may be why they chose to focus on kid-oriented fare like this. (Also, maybe they assumed something like Wadjda would be too obvious.) 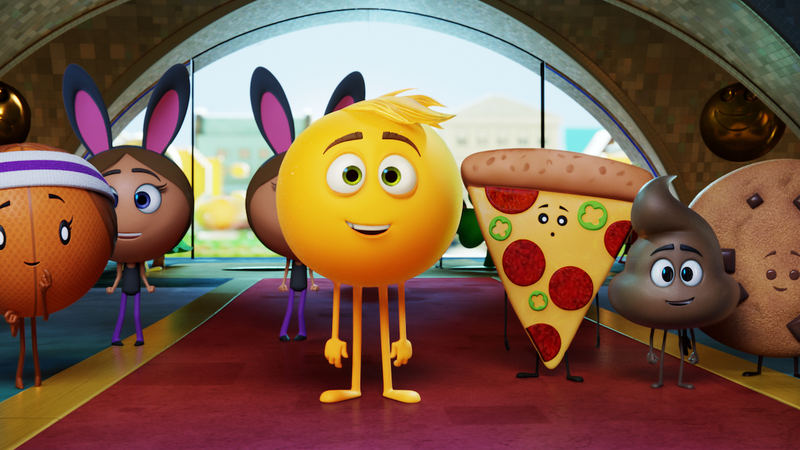 Hopefully the censorship rule won’t preclude the people of Saudi Arabia from seeing films that are better than The Emoji Movie, though, since it was awful. These screenings were held at a cultural hall in Jeddah, and the first dedicated movie theaters are set to open in March.